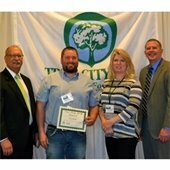 Coralville Is a "Tree City USA"
The Arbor Day Foundation and the Iowa Department of Natural Resources Forestry Bureau presented Coralville with a 2015 Tree City USA award in early April. 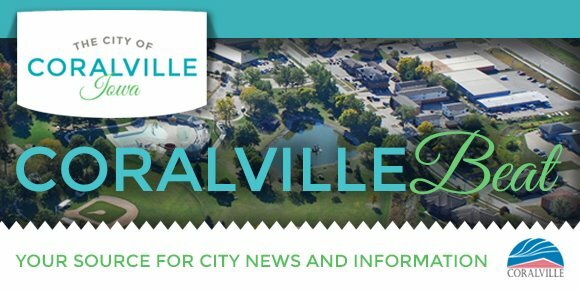 Coralville has been designated a Tree City USA for over 20 years. 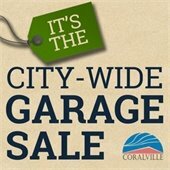 Are you planning a garage sale? 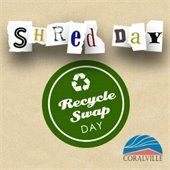 Save the date for this pair of earth-friendly events! 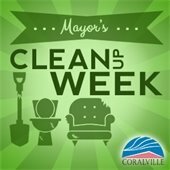 Set out big, unusable items, such as broken furniture or busted bathroom fixtures, for free pickup on trash day during Mayor's Clean Up Week. For unwanted (but still usable) building materials and appliances, consider donating them to ReStore. Free pickup is available, donations are tax-deductible, and the items sold at ReStore support Iowa Valley Habitat for Humanity.